I love review games, but I HATE spending hours to create them. 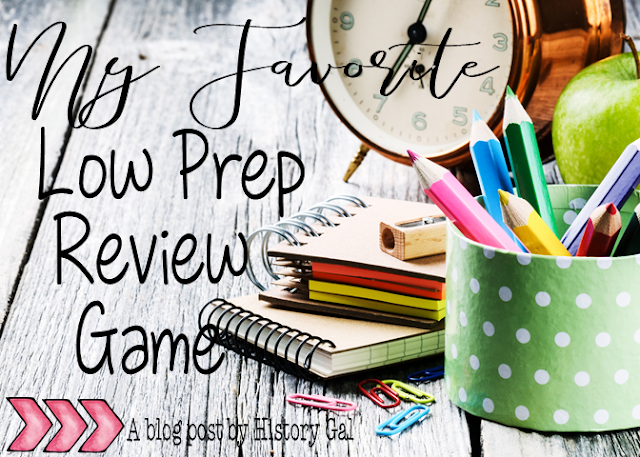 Out of necessity, I came up with a couple of review games that required very little prep time on my part and would work for all of the different subjects I was teaching. In fact, all you need for them is about 5 minutes to write down terms, vocab words, important people, important events from your current unit on some scrap paper, cut them out, and put them in a container so either you or student can draw from it. My favorite is BINGO. Surprisingly, BINGO works great with all levels - even my "too cool" for just about anything upperclassmen. I also make some tweaks depending on my students' levels which makes the game work even better (I'll tell you about those in just a bit!). TIP: Have students slide their filled out BINGO cards into plastic page protectors and then use dry erase markers to cross out the terms when they are called out. 2. Continue doing this until a student gets five terms in a vertical, horizontal, or diagonal line. When this happens, a student should call out "BINGO!" 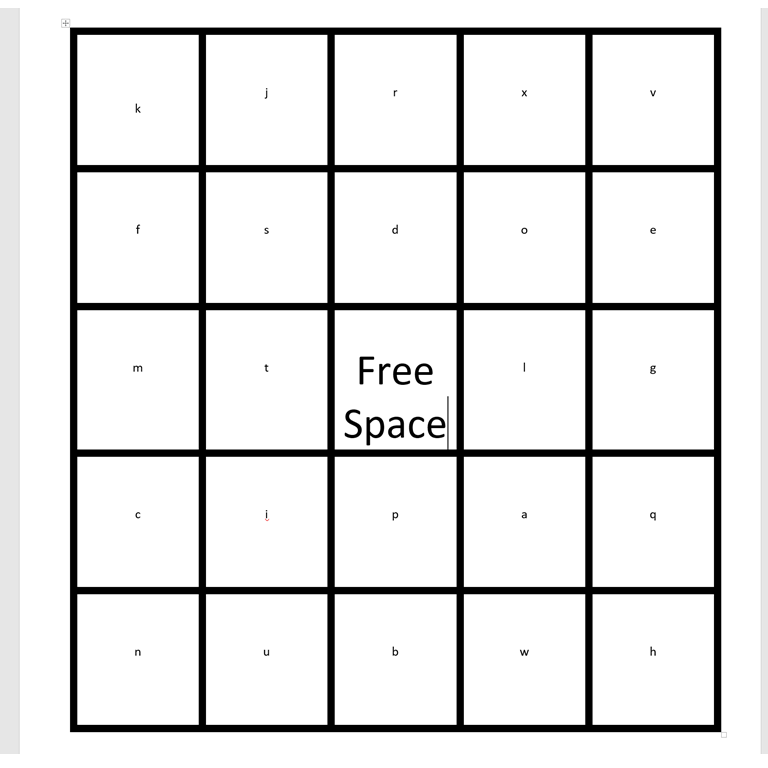 The space in the middle of the board is a free space and can be used to get BINGO. 3. Verify that the student correctly has BINGO. If desired, give them a piece of candy or a small reward. 4. Continue to play different rounds until the class or designated period is over. 1. Throw a piece of candy at a student (warn them first!) and ask them to define, identify, or give a fact about the term you just called out. For example, if you pulled out the term "Sputnik," the student could answer "first satellite to orbit Earth." 2. Or, you can do the opposite call out "first satellite to orbit Earth" and the student would answer "Sputnik." *Try to call on each student at least once. If you don't want to use candy, use a soft ball, a stuffed animal, a piece of balled up paper, etc. Have a little more prep time on your hands? You can create a BINGO template in PowerPoint that will make creating custom BINGO games for individual units a breeze! It is a little tedious to set it up, but you only have to do it once and you can re-use it an infinite number of time. 2. Go to DESIGN ---> Slide Size --> Custom Slide - Choose 'Portrait' and enter 8.5 for the Width and 11 for the Height. 3. Go to INSERT ---> Table - create a table that is 5 x 5. 4. Drag the borders of the table until it fills the desired area. 6. If you haven't saved your template yet, now is a good time! 9. Now, comes another tedious step. There are 24 empty squares on each page. 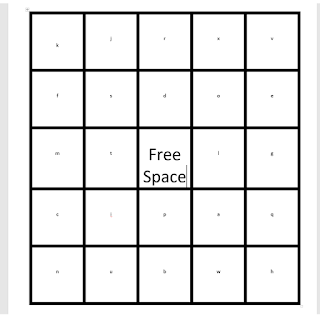 You need to label each square with letters from the alphabet 'a - x.' I find it best to do one letter at a time. I'll start with 'a' and on each slide, I will place an 'a' in a different square. Then 'b' and so on. It's important that each letter be randomly placed on each page/slide - this is what will let you get different versions for each student. 10. Remember to SAVE often! There's nothing worse than having to re-do step 9! Viola! You have your template that can be used over and over again! 1. Open your BINGO template. 2. Click SAVE AS and create a new document. 4. Go to HOME --> Replace -->Replace - pick a letter of the alphabet like 'a' and replace it with your BINGO term and Click to Replace. PowerPoint will automatically replace all of the 'a' with your term. Continue this step until you are done. 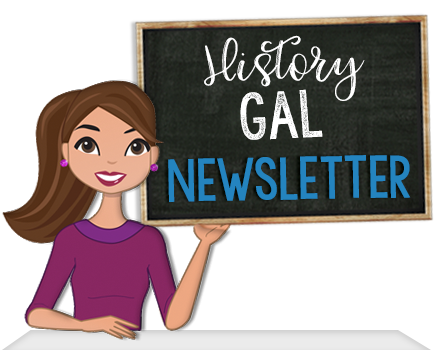 If you don't have time to create your own template and BINGO games, I have a bunch already made in my History Gal store. You can see them here! Looking for more easy review games? Another one of my favorites is 1-2-3 Draw! and I have another blog post all about it here.